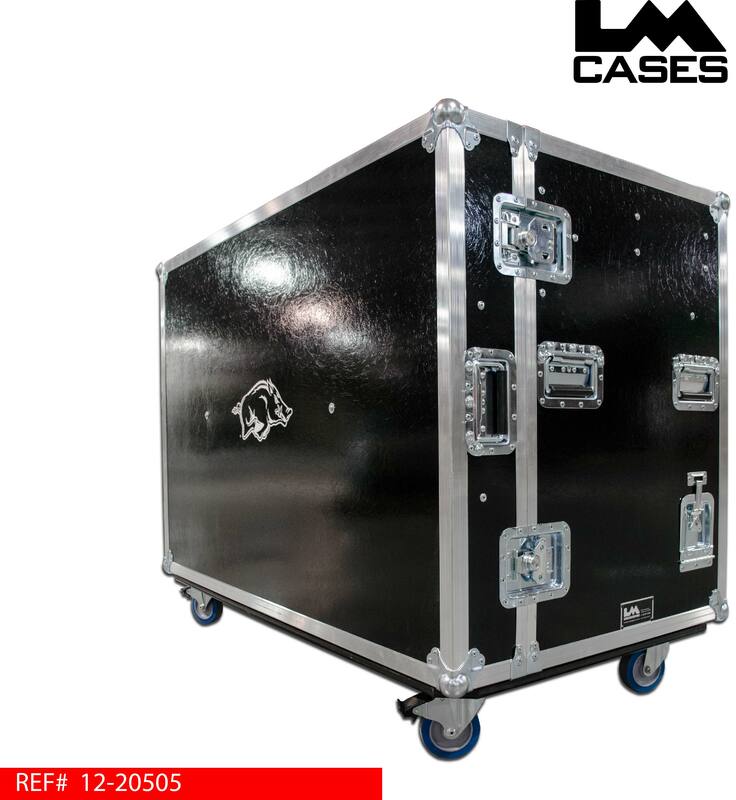 This trunk was designed for the Univerity Of Arkansas to be a mobile food storage and prep unit. 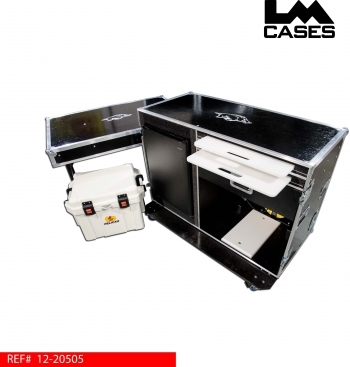 The trunk features a refrigerator as well as a 35qt Pelican cooler for keeping beverages and food cold during transport. 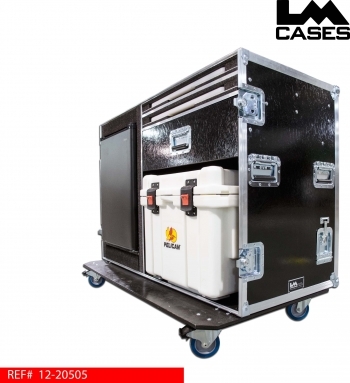 The Pelican cooler is designed to be removed allowing it to be loaded with fresh fruit at the hotel and transported to the stadium with out the need to take the whole trunk. 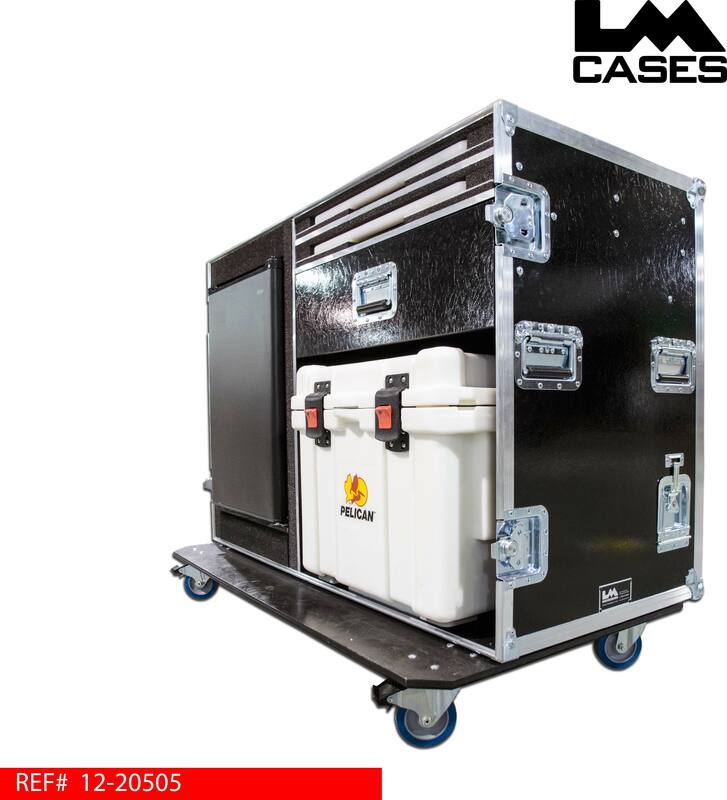 The Pelican cooler is extremely durable and features a lifetime warranty and 7-10 days of ice retention! The trunk also features 2 removable anti microbial UHMW plastic cutting boards for food prep and a drawer for additional storage. 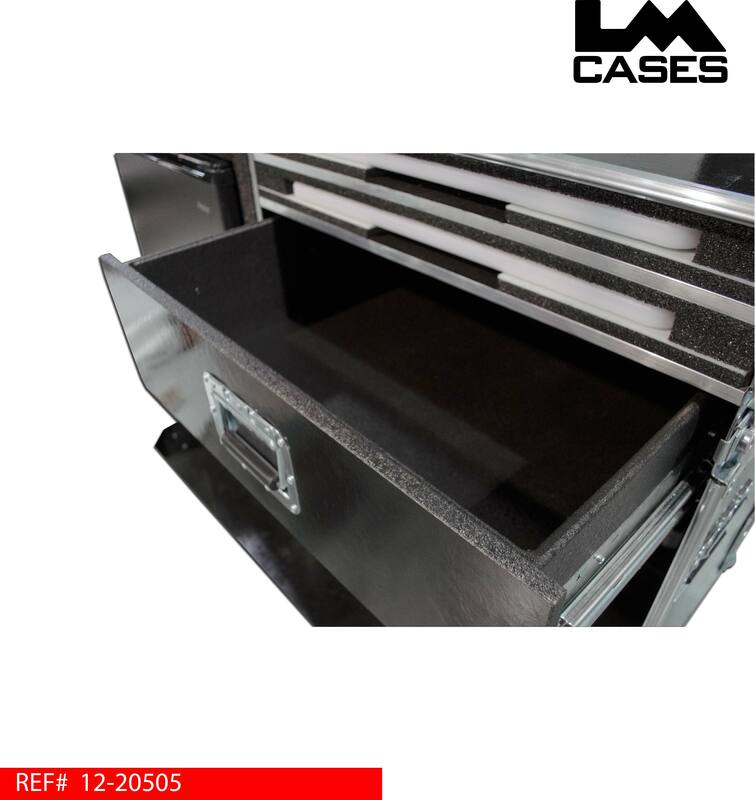 The trunk exterior is built from our proprietary 3/8" composite panels and covered with black fiberglass laminate. 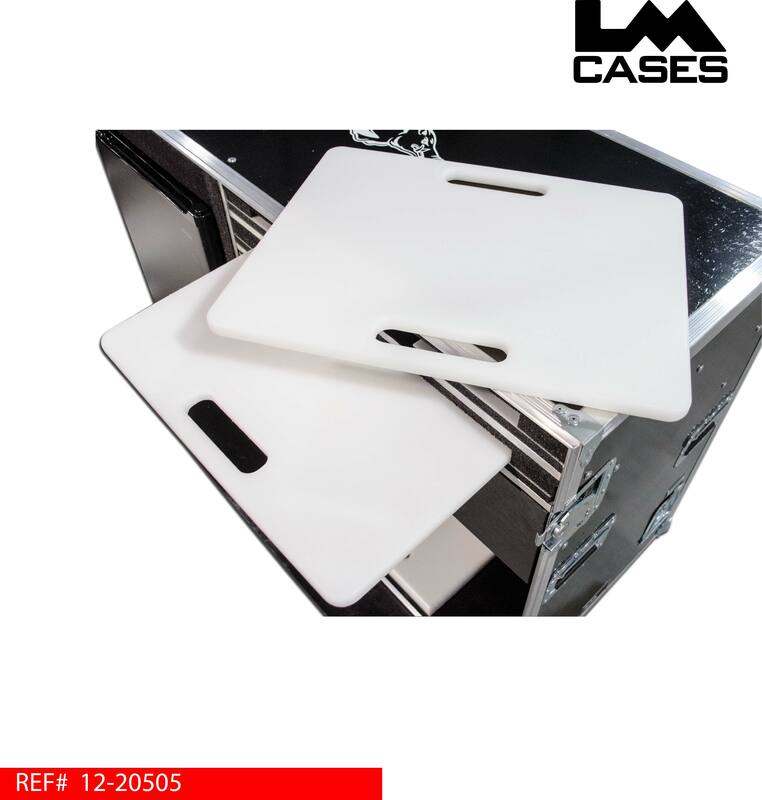 The composite panels reduce the case weight by 30% and are not affected by moisture so the case will not rot or grow mold in damp conditions. The exterior features deep recessed handles, recessed combination locking latches, silkscreens of the school's logo, 4" Colson casters, and a lid that is convertible into a table.